I’ve always heard that ultra-successful people share a common habit: reading. They read a lot. And he’s not alone, Bill Gates, Mark Cuban, Elon Musk, Mark Zuckerberg, and Oprah Winfrey are all on record as citing their reading habits as being a major player in the success they’ve had. 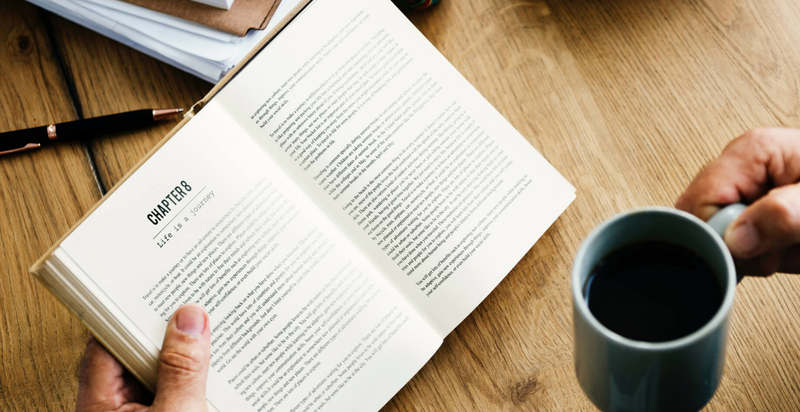 So, with all of this mind, we wanted to ask our partners from all over the country what their favorite business books were and how they made an impact on them as business owners. We got a great response, so please enjoy! All three of the following books are awesome. First up is 3 Laws of Performanceby Steve Zaffron and Dave Logan. It relates to personal responsibility and organizational management in a way that will transform your experience of life. Second is Turn the Ship Aroundby L. David Marquet. Written by the commander of a nuclear submarine, this book is all about empowering teams and lifting people up. The third book is Never Split the Differenceby Chris Vosswhich is mandatory reading for anyone in customer service, sales, or any occupation requiring resolving upsets or problems, or negotiating contracts. Priceless. I also recently finished Never Split the Difference by Chris Voss. I appreciate the blending of his entertaining — and sometimes shocking — FBI stories, and how the lessons learned apply to business. The book reinforced being present, intently listening, and the importance of rapport/relationships. The book gives you exact phrases to use, avoid, and why. It helps demonstrate the massive impact of what we say and how we say it. Eat Their Lunch by Anthony Iannarino. This book teaches you how to bring a higher value to a potential client, who is using your competitor. And of course, if applied to your current clients, it keeps your competition from displacing you. It really helped contextualize and change my mindset on automation and SOPs. And I think it was a great stepping stone for organization in my business and my personal life. Crucial Conversations by Kerry Patterson,Joseph Grenny, Ron McMillan, and Al Switzlerreally showed me how to have difficult, uncomfortable and emotional conversations with all my key relationships rather than just fighting or fleeing. I used the skills it taught me the other day in a conversation with an employee that I upset, that moved the situation from hurt feelings to understanding, and strengthened our relationship. This book helped me lead by example and taught me that employee failures are actually failures on the leader. By being a better leader, employees follow suit. The other book is Traction by Gino Wickman. This helped razor focus our company on growth and singing the same song; rowing the company in the same direction. It helped influence our decisions on the employees we hire and how we talk about Spot Migration — whether it’s in a sales meeting, in marketing, prospecting or client meetings. It helped us figure out how to verbalize the drive of Spot Migration. This book is a godsend! It really changed my worldview and has given me a new way to think and solve every day challenges both big and small. I now know that I have the power within me to affect change, even when I think things are out of my control. I highly recommend this book to everybody. The E-Myth Revisited by Michael Gerber. This book explains why 80% of small businesses fail and provides some traps to avoid. Gerber explains the importance of defining the different roles and responsibilities of an entrepreneur and why one person can’t do them all. This advice helped me grow my business by starting with a rock-solid foundation. Same Side Selling by Ian Altman and Jack Quarles. This book is about stopping the games that some play in sales. There is no winning or losing and we are all on the same team. It helps us become problem solvers vs sellers and use FIT (finding impact together) to solve the puzzle that is our prospect’s needs. Scaling Up by Vern Harnish. We have been going through this book as a company for the past few years. To me, this is the definitive guide to build a growth-based business. As my company has grown the book has become more and more valuable. The Pumpkin Plan by Mike Michalowicz. I read or refer to this book at least once a year. It reminds me to focus on building my business around the clients I WANT to do business with. The book has helped me find multiple niches to hyper focus our services toward growing our business. I highly recommend the audible version — you get extra tidbits from Michalowicz as he reads through the book. Profit First by Michael Michalowicz. This book helped me to implement an amazingly simple concept with the multiple benefits of not only making payroll (I.e. paying myself first), but also helping to make sure to put aside profit versus waiting and wondering where it went after-the-fact. It’s an easy read; well worth it. And a word of advice, don’t get discouraged when your accountant tells you it’s not a good idea — I’ve been down that road already. It’s been great for my business and my family. I highly recommend it. This book was the first book I’ve seen that actually gives exercises to build leadership skills. I have purchased the physical book to actually “do” this book, as opposed to just reading it. It’s well worth your time if you want to improve your leadership skills. We hope these books serve as welcomed suggestions on how to best learn from other MSP owners on your path to successfully growing your MSP business!